We’re going to start by going into the biochemistry of how the various macronutrients – fat, protein, and carbohydrate – make it into our bloodstream and how they are stored. I’ve simplified the biochemistry as much as practical. If you want more details, you can start with the chapters about fat and carbohydrate metabolism in Marks Medical Biochemistry, but I’ll warn you that biochemistry is annoyingly complex. Triglycerides are simply 3 fatty acids hooked to a glycerol backbone. The fatty acids are just chains of carbons with hydrogens attached to them and then what’s called a hydroxyl group (pink in the image) at one end. Discussion of fats is imprecise; sometimes we talk about “fats”, sometimes “fatty acids”, and sometimes “triglycerides”. You can treat all those as equivalent for this discussion. The fatty acids shown here are saturated fatty acids; the differences are mostly immaterial for the purposes of this series, so I’m going to ignore them. After digestion, fatty acids end up in the bloodstream, our adipose (fat) tissue pulls them in, and stores the fatty acids away. Very simple and the system works quite well. The amount of energy you can store in fat cells is close to unlimited. Even only 10 pounds of fat stores about 35,000 calories, which is a ton of energy; that’s about 1000 miles of riding for the kinds of rides that I do. The protein in the food we eat is broken apart into individual amino acids, absorbed into the bloodstream, and… Well, at that point it gets a little weird. There is no centralized storage for protein in the body. There is a what is called the “amino acid pool” in each of the cells, but generally speaking, if we eat more protein than is immediately usable by the cells, the rest is excess. Most of the excess amino acids can be converted to glucose through a process known as gluconeogenesis, so some of the excess energy becomes blood glucose, but if there is too much, it is just thrown away. Now, if you look at it another way, you can view muscles as a centralized storage for protein. There is something known as “protein sparing” where the body generally tries not to tear apart muscles to get energy, but if the need is great, the body will tear down protein, convert it to glucose, and burn it. If you’ve seen the pro cyclist upper body muscles, you can see this effect in action. Carbohydrates are much more complex; unlike the fat system, where all fatty acids are treated equally, the different sugars are treated quite differently. I’m going to talk about how the various sugars get into the bloodstream and what form they take before I talk about storage. Glucose is one of the common currencies for energy in the body. When you eat glucose, it is absorbed into the bloodstream. These are sometimes known as “glucose polymers”, which is a fancy way of saying “chains of glucose”. The chains are broken apart into glucose in the digestive system before they are absorbed and that generally happens fairly fast. You can treat dextrose, maltodextrin, and most starches as if they were glucose from a nutritional perspective. There are a few exceptions; there is “resistant starch”, which doesn’t get digested easily and can be converted to fat in the digestive system by bacteria, and a cool product known as SuperStarch that I’ll talk about in a later post. 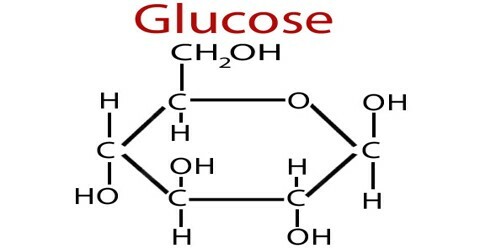 Sucrose is a disaccharide, which means it’s a compound of one molecule of glucose and one of fructose. You can treat the glucose part just like any other glucose molecule. The fructose part is more complex. Some fructose may get digested into fat in the digestive system, but the fructose that makes it into the bloodstream cannot be used directly by the cells of the body. Rather than waste that energy, the liver takes the fructose molecules and does a bit of processing on them. If glucose is rare (blood glucose is not high), the resulting compounds will become glucose, and if glucose is common, it will convert those compounds into fatty acids, which is released (if you are lucky) or accumulates (if you are not lucky). More on that later. High fructose corn syrup is about 55% fructose and 45% glucose, so it’s pretty close to the same mixture as sucrose and from a dietary perspective, you can treat it the same. I should also note that some people have varying degrees of fructose intolerance; it can cause what is politely known as “digestive issues”. If I eat any fructose during exercise I will get immediate stomach issues. I mention this because it took me a long time to figure out. Lactose (milk sugar) is another disaccharide, in this case a combination of glucose and galactose. The glucose is like any other glucose, the galactose is like fructose in that it can only be handled by the liver. What we call ‘alcohol’ – ethanol – is lumped together with other carbohydrates even though it is not a sugar. Ethanol can only be metabolized through the liver, and like fructose and galactose, it might end up as glucose or it might end up as fatty acids. When blood sugar is not in a narrow range, bad things happen. Normal fasting blood glucose levels are around 80 mg/dL (milligrams per deciliter). If you get below 50 or so, you can end up in a coma, which is bad; that is what happens to type I diabetics if they get too much insulin. If you get above about 215, you need to seek medical attention, and above 300 is an immediate risk. And moderately high levels on an ongoing mean that you have type II diabetes. One small sugar cube. There is a *tiny* amount of glucose in the bloodstream. The small range of normal blood glucose levels plus the small amount of glucose in the blood means that even a modest amount of glucose coming in from the outside could have a huge effect on blood glucose levels; a mere 4 grams of glucose would double the blood glucose level if there were no mechanism to deal with the extra glucose. The body therefore devotes significant amounts of machinery to try to keep blood glucose constant. Blood glucose level is regulated by the pancreas. As the cells of the body pull glucose out of the blood, the level drops, and the pancreas releases the hormone glucagon. The glucagon signals the liver to release some of its stored glucose into the blood stream to bring the blood level back to normal. The liver can store about 100 grams (400 calories) of glucose, which it stores as glycogen. If the liver glycogen stores are chronically low – if you aren’t eating many carbs on an ongoing basis – the liver can make glucose from other compounds – like lactate, the glycerol from triglycerides, and some amino acids from protein – using process known as gluconeogenesis – and it can also switch some tissues to use ketones rather than glucose to reduce the required amount. If you aren’t eating anything – if you are fasting or starving – your body can still make the carbs you need. First, the burning of fat is minimized so that as much glucose can be burned as quickly as possible. The more glucose being pulled out of the blood, the less the blood glucose level will rise. Second, the liver will start pulling glucose in and storing it as glycogen, as long as it has space. The muscles will also start pulling glucose in if they have space to store it, and the muscles can store around 400 grams (1600) calories. Conversion from glucose to glycogen is quick and there are a lot of liver and muscle cells, so if glycogen stores aren’t full, the glucose will quickly be pulled into those cells, and blood sugar won’t get very elevated. But compared to fat, the storage is quite limited, and it’s very rare that glycogen stores are low; muscle glycogen is only burned through activity, so it’s generally only the liver storage that is in play, so there’s often just not much space to store glycogen. The third effect happens if the liver and muscle glycogen stores are full. There is no easy place to store the glucose but it’s still coming in from the digestive system, so the blood glucose level goes higher and the pancreas releases more insulin. There is only one place for this excess glucose to go, and that is fat, so the liver and the fat tissue pulls in glucose and converts it to fat. This is slower than the conversion to glycogen, so the elevated blood sugar and insulin levels persist for a few hours. Because that it is highly important to keep blood glucose low and limited storage space, there is a fundamental asymmetry between the fat and carbohydrate storage systems, and that asymmetry drives a lot of the physiological response. It seems like an appropriate point to talk about what is different for people who have insulin resistance or type II diabetes. The normal person sees just a small spike of glucose and it quickly returns to normal, the pre-diabetic sees a spike and then a drop afterwards (this is likely not true for all pre-diabetics), and the type II diabetic starts with an elevated glucose level and a meal just spikes it way up. Part of what we are seeing is that the liver and muscles become less willing/able to absorb glucose out of the bloodstream, so it takes longer for the blood glucose to return to normal. When we get all the way to type II diabetes, there is something else going on. Earlier I talked about the process to deal with low blood glucose by converting liver glycogen to glucose. This normally only happens when blood glucose is low, but insulin resistance messes up the machinery that controls this, and the liver will release glucose even when glucose is normal or elevated. That is why the blood glucose is chronically high. The result is that those who are insulin resistant have chronically elevated levels of glucose and insulin, and since we know that elevated insulin reduces fat burning, they find it very hard to burn fat. Insulin resistance is not a binary thing, and it’s possible to be a little insulin resistant and not have it show up in standard tests. It is not confined to people who are overweight; it is possible to be insulin resistant and have a normal body weight. Protein and fat digestion and storage are pretty simple, but because of the limited storage available for carbs, excess carbs just get stored as fat. Now that we’ve gotten that fat and glucose stored, in the next post we’re going to talk about how those are used by the muscles. I glossed over the relation of insulin to protein earlier in the post, but it comes up often enough I thought it was worth covering here. Insulin is a multipurpose storage hormone; not only does it signal the body to store glucose, it also signals it to store protein. We eat a high protein meal and the pancreas secretes insulin. That would cause the amino acids from the protein to be absorbed, but it would also tell the liver, muscle, and fat cells to pull glucose out of the bloodstream, and would therefore cause the blood glucose to plummet. Notice the inverse relationship between the insulin and glucagon values; this will move the insulin/glucagon ratio much higher so the glucose will be absorbed. There is a small insulin spike from the protein, but a large glucagon spike. That keeps the insulin/glucagon ratio low and blood glucose constant. Great description of how things work. It certainly connects many concepts that take a lot of work to get a handle on. The thing that would be really useful is a section like “What does this all mean in day to day life”. Like: (not necessarily accurate) Glucose is a useful intake for a cyclist on an extended ride (over 40 minutes) as it will provide …..